Are you interested in the most comfortable earbuds the market has to offer but there are so many options it’s hard to choose? 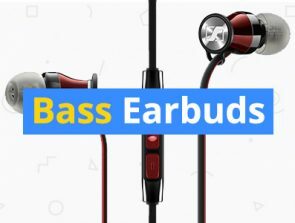 Then you’ll be glad that you arrived at this buying guide of the best comfortable earbuds out there. We have done the legwork for you in locating the best choices so that you can quickly make a selection. We have broken down our picks into 3 different price categories. This allows you to quickly locate the earbuds that are a good match for your budget. There is no need to overspend when we are offering earbuds for all budgets. Handcrafted wood design and convenient inline controls. Noise isolation and impressive 3 driver system. Noise isolation and industry leading audio. You need to consider various buying factors to make the best decision. You’ll see that there is a methodology for selecting earbuds and you can learn what that is below. We are confident that by the time you finish digesting this buying guide you’ll have enough information to make the right decision on your purchase. The fit: how the earbuds fit is the most important factor in how comfortable they are. The size of the eartips should match your ears, and it helps if the brand provides a number of different eartip sizes. An in-ear canal fit is preferred as the chances of the earbuds getting dislodged is greatly reduced. Wireless: a wireless setup might be highly comfortable for some because there are no wires to mess around with. Freedom of movement is reduced with wired headphones. Some people hide wires under their clothing but this can be cumbersome. Weight: preferably the earbuds should be light so that you hardly even notice them. Ideally, you should be able to forget that you’re even wearing earbuds after a few minutes and a low overall weight will help you with that. Regardless of how many cool features modern-day earbuds have the audio quality is what should not be sacrificed. The audio drivers should be a consideration when reading a product description as this is the physical unit that delivers that sound. Also, noise isolation is a desirable feature that helps reduce unwanted sounds in your environment. Therefore, you can hear the audio of your earbuds with a much higher degree of clarity. There is no need to have the volume very high in order to drown out the noises of the surrounding environment. However, as with the majority of audio-based products, the better audio quality can be found at the premium price point categories. However, we have also selected some great options in the budget category too. Are you interested in a wireless experience? Then opt for Bluetooth enabled earbuds that makes use of a wireless connection. You’ll find that there are a number of good quality Bluetooth comfortable earbuds on this list – even at the budget category. Gone are the days where to get Bluetooth earbuds you had to pay a premium price point. When buying Bluetooth earbuds you need to consider the battery time available. If you hate having to constantly recharge earbuds, then there are options where you can get up to 20 hours of battery life. Also, the quick charge feature is highly desirable as it will provide a boost in battery life for a small amount of charging time. A variety of accessories will improve the value of the purchase. For instance, a soft carrying case should be included so that you have somewhere to store the earbuds while they are not in use. The carrying pouch can help protect the earbuds from damage. Earbuds are relatively damage-prone items, so this accessory is highly desirable. Another common earbud accessory is eartips and there should be different sizes so that you can get a comfortable fit. Also, eartips with different materials should be provided. This allows you to use the material that has the nicest feel to it. The quality of the brand should be considered when selecting earbuds. Do your background research so that you can trust the brand to deliver you a competitive product. A great brand will have good quality customer service, which comes in handy if there is a problem with the earbuds. Furthermore, the brand determines how good the warranty is. The typical warranty agreement will have a number of loopholes that try to remove the responsibility of the manufacturer from providing a replacement unit, but bigger brands are usually more accommodating. Who should buy the most comfortable earbuds? Is there a friend or family member that has been trying to acquire earbuds recently? Then surprise them and purchase earbuds from this list. Each of the options here has excellent levels of comfort, which means they can enjoy the music for multiple hours at a time without feeling the need to take a break. With so many options you are likely to find the earbuds that will match your budget and have features to impress the recipient of the present. The cutting edge technology here is likely to be an upgrade over the audio solution that the average person has at their disposal. The most comfortable earbuds should be purchased for individuals that want to enjoy music for long periods of time. The comfortable aspect of the design means after a short period of time you’ll forget that the earbuds are even there. However, not all the earbuds in this buying guide have equal levels of comfort – some are better than others. Therefore, pay attention to the implementation of the fit and you’ll have a good idea if it matches your requirements. Comfortable earbuds are great for individuals that want to listen to music while exercising. When running on a treadmill or lifting weights you need to be constantly moving. However, if the earbuds are constantly falling out or need readjustment then it can lead to a frustrating experience. Therefore, ensure that the comfort level of the earbuds is high and a secure fit is enabled. Exercise enthusiasts should, in particular, make use of wireless Bluetooth technology. This means wires will not get in the way of your physical exercise. Do you need a budget option that delivers awesome audio and a comfortable fit? Then the selection of options in the under $50 category is where you look. Here you’ll be surprised with the quality of the comfort when you consider the relatively low asking price. However, don’t expect to enjoy industry-leading audio that competes with higher priced products. Demanding audio users should consider purchasing from one of the more expensive price categories. The Symphonized NRG 3.0 Earbuds are perhaps the most comfortable earbuds that you can buy in the budget category. 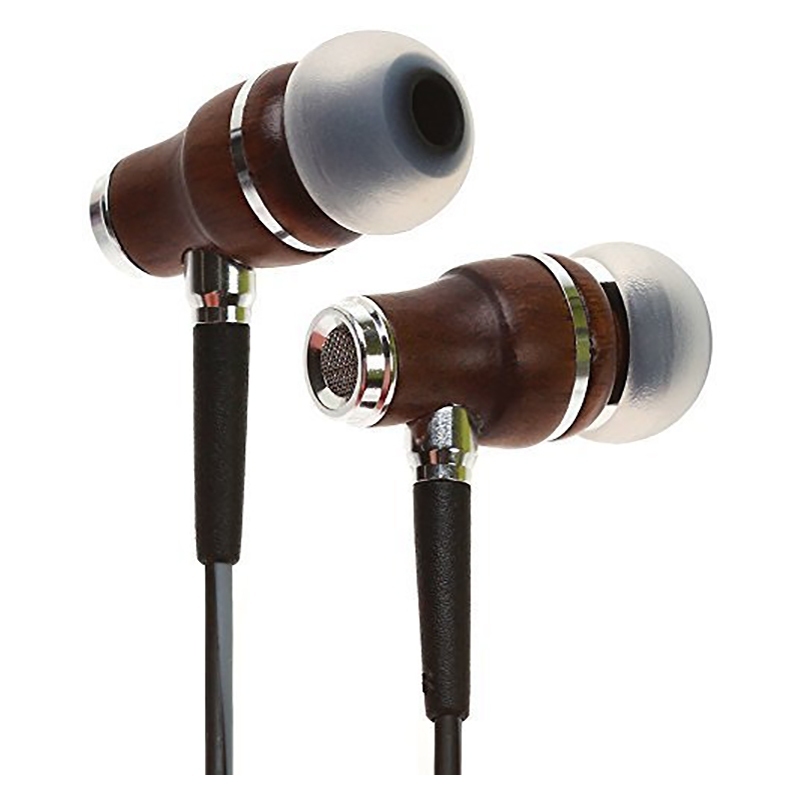 At the cost of around $20, you can enjoy a combination of great audio, a stylish wood-based design, and comfortable fit. Also, there are variations of colors that you can choose from to customize your look. The handcrafted natural wood is one of the unique selling points of this product. People will certainly take notice of your unique looking earbuds and the sophisticated design also leads to a durable product. Also, tangle-free cords are used so you don’t have to worry about constantly adjusting the wires to ensure they are not tangled. 6 pairs of silicone tips are provided, which means you can get the right fit for your ears much better than with other earbuds. The silicone material is durable and comfortable to wear. 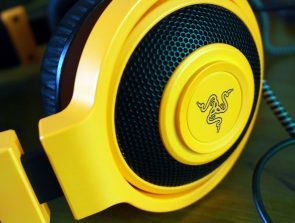 Additionally, a gold plated 3.5mm jack is included that ensures the audio is not distorted. It comes with a built-in microphone with buttons that can be used to take calls on the go. The buttons can also be used to control the volume and switch between songs. This ergonomic design means you do not need to get your smartphone to control the audio experience. To summarize, the Symphonized NRG 3.0 Earbuds are the best option in the budget category for buyers that value comfort above all else. The distinguished wood-based design and quality of the audio means the budget buyer will be pleased with the value on offer. You’ll struggle to find better earbuds at the low price point of around $20. The Sennheiser CX300 II is another budget offering that has a blend of great audio and a comfortable fit. 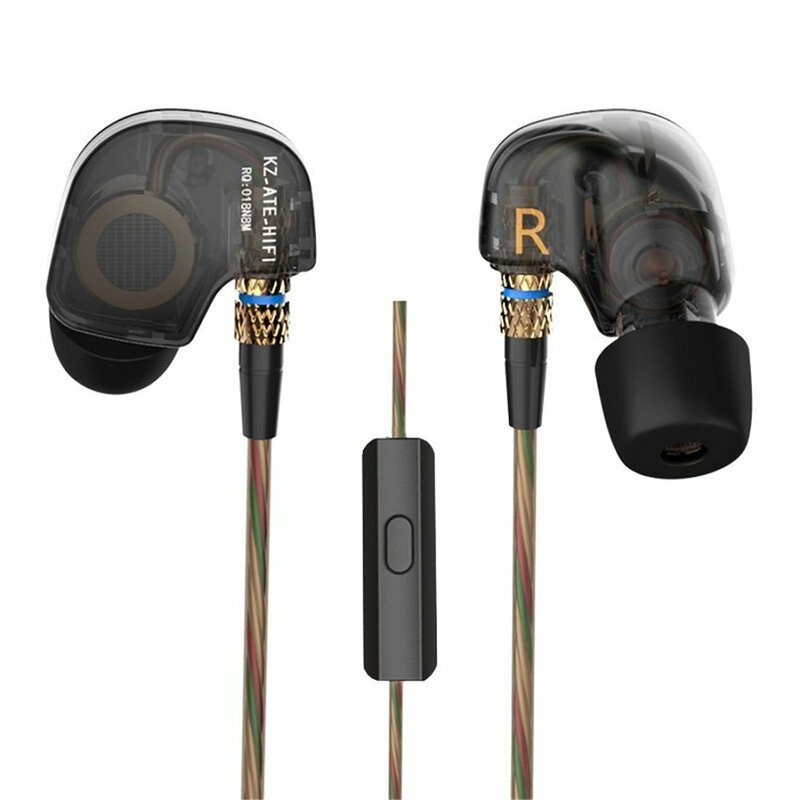 The combination of the reputable brand, great value, and in-ear design means you can enjoy this product for multiple hours at a time. 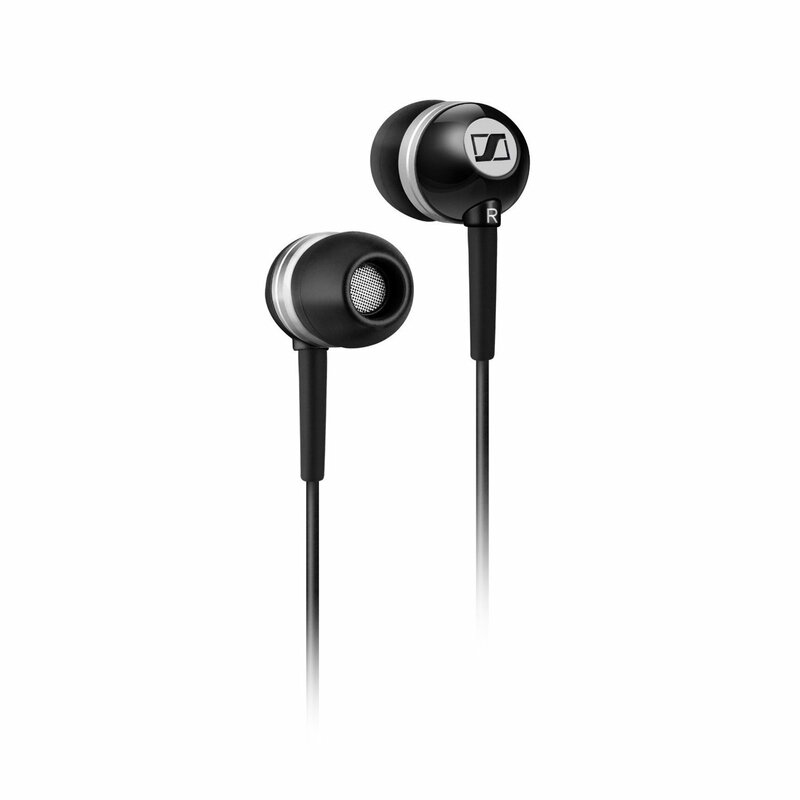 Sennheiser is one of the premier audio brands in the industry and they are known for providing a wide frequency range. This means the bass is rich and the deep tones create an impactful audio experience. Furthermore, these headphones very little distortion. A soft pouch that is small enough to fit neatly in your pocket is included. It can be used to store the earbuds while traveling. Furthermore, there are different eartip sizes that can be chosen to get the right fit for the size of your ears. The eartips are also durable, which means they will not wear out shortly after buying them. The connectivity is wired and the wire length is 1.2m, which comes with a right angle 3.5mm plug. The in-ear canal also provides some noise isolation, but the extent of the noise isolation is not comparable to the products in the higher price categories. Included is a 2 year global warranty and with the size of Sennheiser’s global network, you can be confident in getting a replacement unit sent out to you fairly soon. To conclude, the Sennheiser CX300 II is an excellent budget choice that provides a nice combination of bass-driven sound, comfortable fit, and light noise isolation. At the price point of around $35, you are getting good value. However, the lack of a microphone is one of the big disadvantages of this product – an oversight by Sennheiser. The Kz ATE Copper Driver Earbuds are comfortable enough to be used for sports and going to the gym as the fit is very secure. At the price point of just under $15, you’re getting a bargain because of how well the various features have been implemented. The design is light so that there is no cumbersome feel to wearing them. The shape of the earbuds will fit the majority of people nicely. You can expect a better fit than the majority of similarly priced products. A great fit is important because it leads to noise isolation, which in turn improves the quality of the audio. As a rule of thumb, if you’re experiencing poor noise isolation with in-ear earbuds, then it might be because of a poor fit. A gold plated jack is used to ensure that signal loss is kept to a minimum. The 32 core copper cable also contributes to distortion-free audio that provides rich audio at reliable levels. High-end materials are rarely found at the low end of the price scale. A microphone is included that is surprisingly good and makes use of digital distortion reduction technology. Therefore, the recipient of the audio will be able to hear you at much higher levels of clarity. The audio driver used is by no means one of the best on this list, but for a budget offering can hold its own. To summarize, the Kz ATE Copper Driver Earbuds are an excellent option if you’re looking for a budget-friendly solution that can be used for a comfortable fit. These are great for sports and exercise as the fit is secure. They are also suitable as a replacement option when you are going to travel. However, one of the negatives of this product is the durability that might lead to a short lifetime. The earbuds in this category are worth a look to get a combination of good quality and value for money. The audio quality and comfort of these earbuds are some of the best in the industry and can even compete with more expensive options. The brands in this category are well recognized and among the best in the world when it comes to audio quality. Also, pay attention to the quality of the eartips as they contribute a lot to the comfort and noise isolation. The 1MORE Triple Driver In Ear Headphones have an elegant design that is tuned by a Grammy award winning sound engineer Luca Bignardi. These earbuds are good enough in the audio department to compete with earbuds that cost twice as much. Therefore, this option presents excellent value for money. There are a number of eartips provided that ensure you can find one that provides an excellent fit. This will seal the air gap and that leads to better noise isolation. If you feel that the noise isolation of the 1MORE Triple Driver earbuds is lacking then this might be the reason why. There are three drivers that provide surround sound, which leads to a rich audio experience. Furthermore, the dynamic drivers are comparable to a tiny woofer. The bass is excellent as the mids and highs in particular are excellent. Music tracks that you might have listened to for years can sound different as new notes are heard. 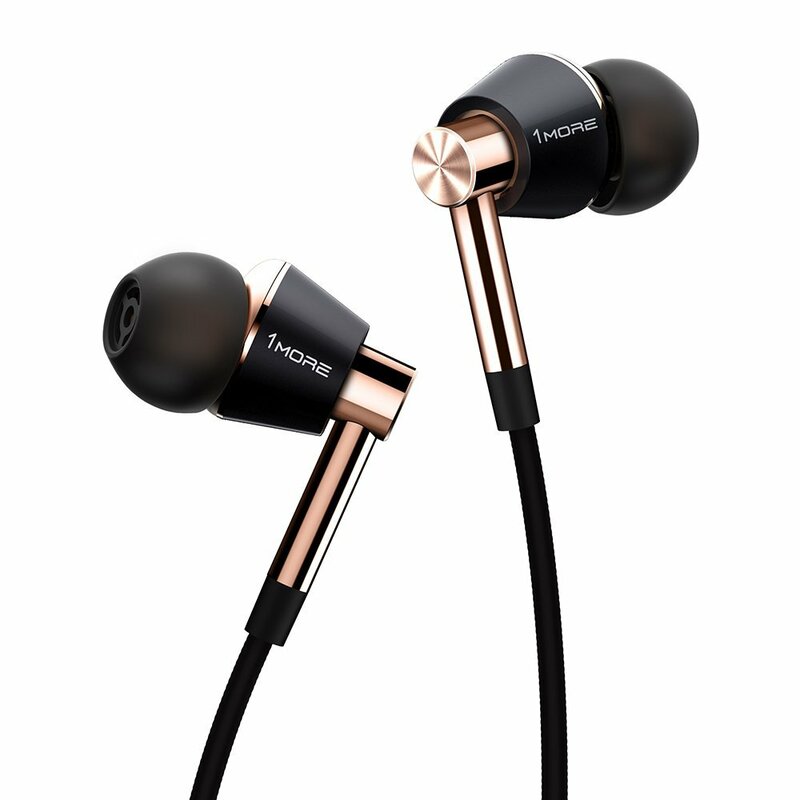 The lightweight aluminum alloy is comfortable to wear and has a great in-ear fit. A 3 button remote is also provided that can be used to answers calls and control what audio track is playing. The crystal clear microphone that’s included allows the person you’re talking with to hear you effectively. To conclude, the 1MORE Triple Driver In Ear Headphones have a design that covers all the bases: comfort, durability, audio quality, and ergonomics. You’ll feel as if you’re buying a comprehensive package and at the price point of around $100 you are getting a bargain. It’s a perfect purchase for those that currently own budget earbuds and want an upgrade. 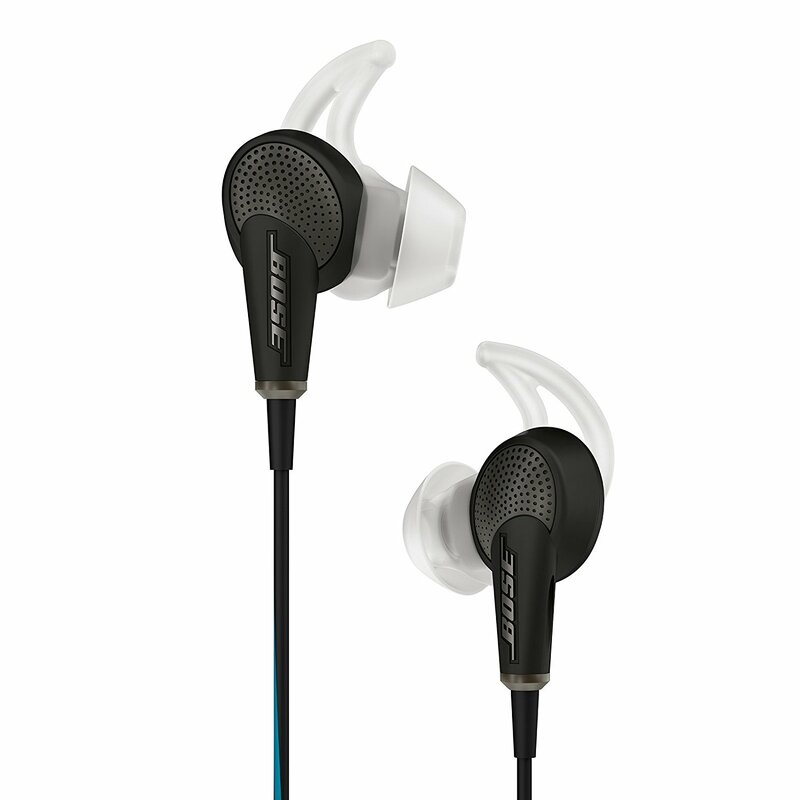 Bose is well-known for excellent audio products and the Bose SoundSport in-ear headphones offer a great deal of value for the price point of around $100. There is a choice of colors, which includes charcoal, energy green, frost, neon blue, and power red. The TriPort Technology provides deep sounding bass that delivers amazing levels of clarity. You can hear the different frequencies remarkably well and the durable design means the quality of the audio will not degrade easily. Three different sizes of eartips are provided to customize the fit. You can select between small, medium, and large. Also, there is an in-ear fit, which means the earbuds are secured within the confines of your ear. You can take part in exercise and sporting activities without fear of the earbuds coming loose. The comfort aspect of these Bose earbuds is one of the highlights to consider. A lightweight carrying case is included so that you can store the earbuds while not using them. Therefore, protection from damage is ensured during travel. 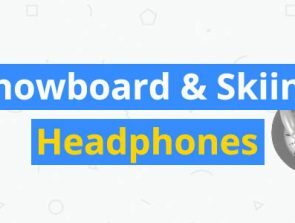 Furthermore, the earbuds are sweat and water resistant, which means that damage to the electronics of this product will not take place from a moisture-heavy environment. To conclude, the Bose SoundSport in-ear headphones are one of the most comfortable earbuds around that are engineered for sporting activities. However, the quality of the sound and durability has not been sacrificed as this product covers all the basic. Finally, there is a choice of colors to customize the look of the product to match your requirements. 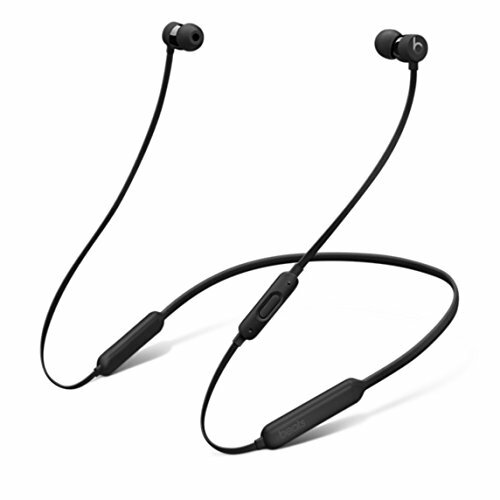 The BeatsX Wireless earbuds offer a number of desirable features like wireless connectivity, a comfortable fit, and excellent bass. At around the $100 price mark, you’re getting a highly competitive product that provides great features. Part of the comfort comes from the fact that you have a secure in-ear fit. You can take part in physical exercise with these earbuds and the chances of them coming loose are slim. A wire connects both earbuds, and it can be used to hang the earbuds around your neck when not in use. Each earbud is magnetic, which means they stick to one another. A microphone is included with controls, which means you can take calls on the go. The controls are convenient as you can answer calls without having to take out your smartphone. The Bluetooth connectivity adds to the comfort of this product. The battery life is 8 hours long and there is a quick charge feature where you can get a quick boost in battery life for a small amount of charging time. A micro USB wire is included to allow charging of the earbuds. Therefore, you can charge the earbuds while traveling using your laptop. The audio quality is excellent here as the bass brings music to life. You’ll feel as if the audio is impactful and hit the notes well – even at high audio levels. The noise isolation contributes to the great audio because background sounds are blocked out and will not interfere with your personal audio experience. Therefore, you can be immersed in what you are listening to. To conclude, the BeatsX Wireless is a comprehensive product that has a variety of positive features. You’ll enjoy the rich bass experience and the comfort of the wireless connectivity. Also the noise isolation and in-ear fit mean you’re getting an experience that’s comfortable and practical. At around the $100 price mark, you will struggle to find another product that has more to offer. Are you after comfortable Bluetooth earbuds that deliver good quality audio? Then you should consider the Sony C400 as the quality for the price is excellent. Sony has a reputation for providing excellent audio products across a bunch of different categories and price ranges. Part of the comfortable fit comes from the wireless nature of the connectivity. There is no need to deal with wires under your clothing and there is more freedom when it comes to the movement. Therefore, the Sony C400 is perfect for individuals that want a personal audio solution while going to the gym or going for a jog. A dynamic sound is produced by the 0.35 neodymium drivers that will allow you to get immersed in the music. There are a number of buttons that allow you to skip tracks and also control the volume. Therefore, you do not need to take out your music player to adjust the settings. There is a band between the two earbuds, which allows you to wear the product around your neck. This is an ergonomic feature that also contributes to the comfort levels of the product. The cable management is also very well implemented as you can adjust the cable length. This makes the Sony C400 a good option when physical movement is required. To summarize, the Sony C400 is a great option for those that want value for money. 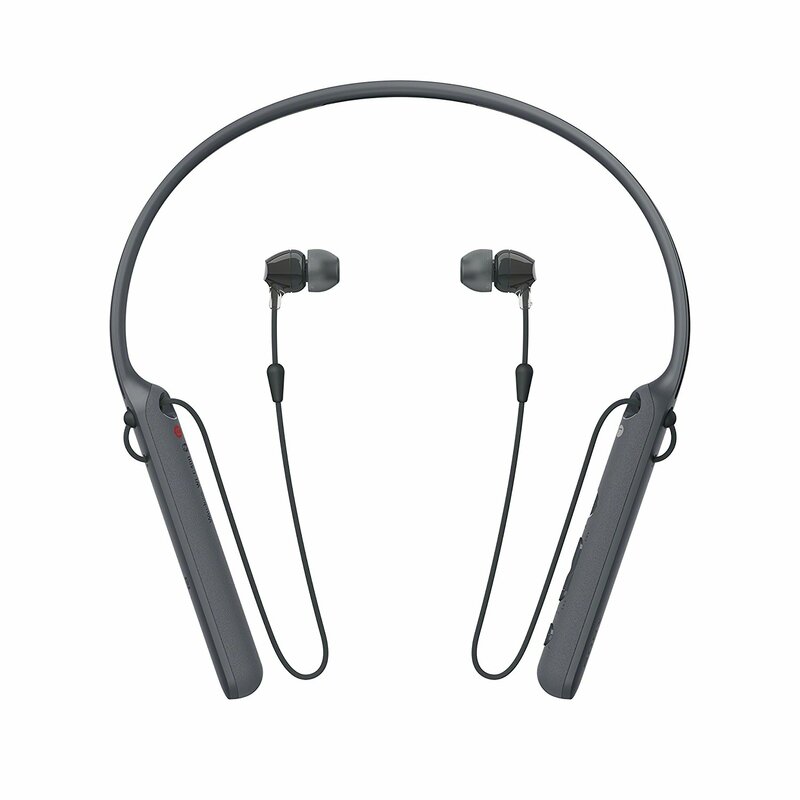 The combination of the Bluetooth connectivity and great comfort means you’ll love to use these on a daily basis. The battery life is excellent at 20 hours long and you can also select from a variety of different color variations. Do you have a big budget for some of the best earbuds in the industry? Then the under $300 is where you should make a purchase. You’ll notice that the level of audio and comfort makes use of industry-leading technologies. You’ll notice that the best audio companies in the world can be found in this category like Bose. Therefore, you can be confident in your purchase and demand audio that will blow you away. 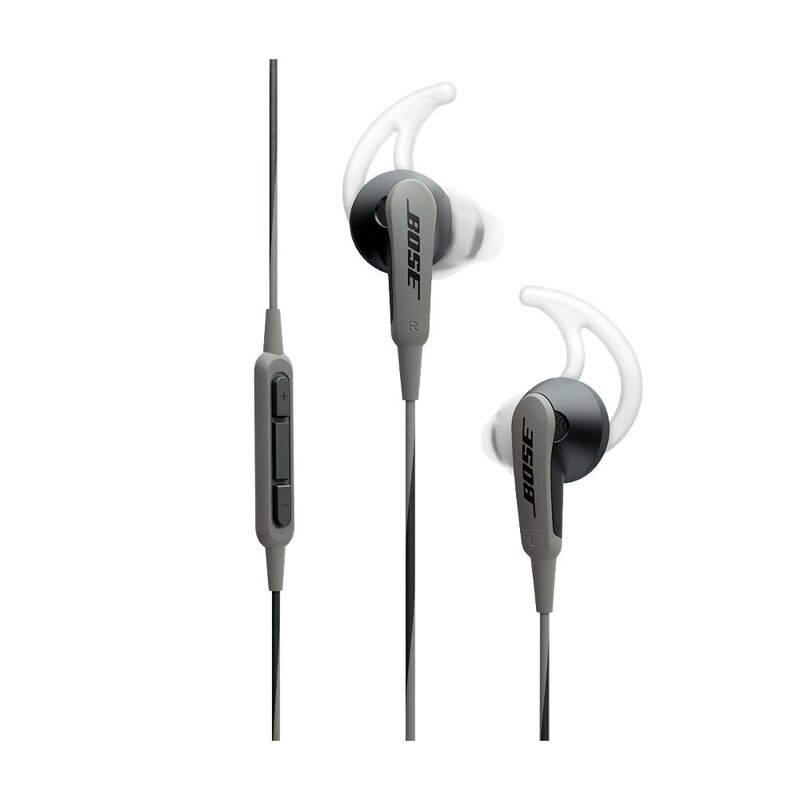 It can be argued that the most comfortable earbuds on the market are the Bose QuietComfort 20. They are a premium purchase at a price point of around $250, but for the price, you’re getting industry-leading features. Bose is a trustworthy audio company, and this is one of their best offerings in the earbud marketplace. The Proprietary StayHear+ tips are what sets the comfort of this product apart from the average earbuds out there. The fit is soft and secure, which is a great combination for sporting activities. 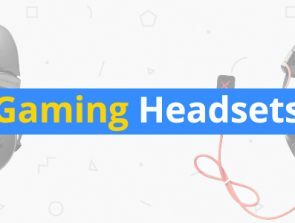 You can shake your head vigorously and you will not feel as if the earbuds will come loose. They are compatible with Apple and Android devices so if you’re a smartphone owner you’re covered. There is an inline mic that can be used to take calls in a hands-free manner. The buttons allow you to take and end calls in a comfortable manner. The eartips are highly comfortable and come in 3 different sizes to give you a chance to get the right fit. A clothing clip is also included so that you can clip the wire onto your clothing for a more comfortable setup. A carrying case is included so that you can store away all the accessories that are included. Also, a noise isolating feature is present that can be adjusted to meet your requirements. When in a noisy environment turn on the noise isolation, but when driving you might want to turn it down. The audio quality is one of the biggest things that differentiates this product from the rest of the marketplace. Bose has ensured you’re getting not only an ergonomic product but one that delivers industry-leading audio. To conclude, the combination of the comfortable fit, excellent audio, and reputable brand makes this one of the top choices on this list. Those with a big budget should strongly consider investing in the Bose QuietComfort 20 as you’re unlikely to find an alternative that provides a more comprehensive experience. 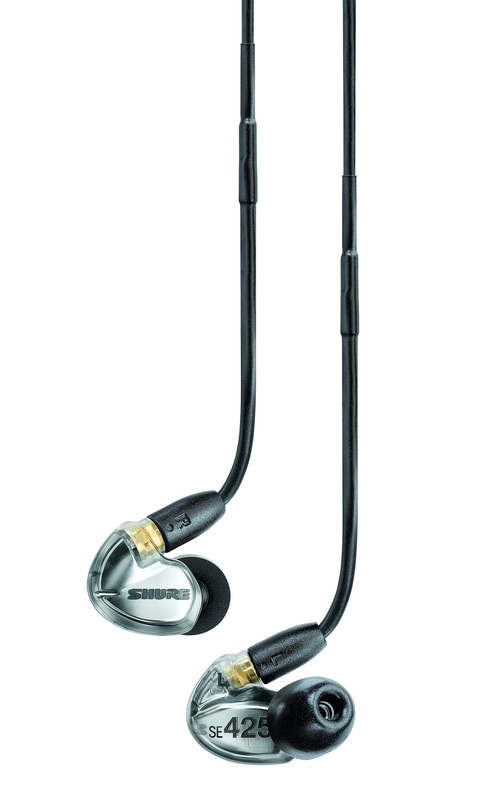 Shure has some excellent products in the audio industry and the Shure SE425-V is one of their flagship earbuds. The industry-leading technology implemented here justifies the premium price point. The durable design is made from premium materials and tested to provide great audio consistently for long periods of time. Wired connectivity is used and there is a microphone that can be used to answers calls on the go. The convenient in-line buttons allow you to have control over your audio experience without having to take out the audio emitting device. It comes with 3 different eartip sizes and the eartips are soft to the touch, which means the comfort is excellent. Furthermore, the eartips seal the audio experience, which means excellent noise isolation is provided. You can be in noisy environments and not have to deal with noises that ruin your personal audio experience. Up to 37 decibels of noise isolation is provided, which is competitive when compared with the other entries in this buying guide. The audio quality is remarkable as the frequency range is 20hz-19kHz and dual high definition MicroDrivers are used. This package delivers an audio solution that will not disappoint even the most demanding of buyers with high expectations. To conclude, the Shure SE425-V is in a league of its own when compared to most earbuds. The combination of superior comfort, advanced noise isolation, and excellent audio means you can enjoy a personal audio experience that’s designed to impress. The Westone W20 is an excellent choice for the premium buyer that’s looking for a blend of comfort and high-quality audio. The design looks simple and weighs only 4.5 ounces. This particular model received the “Best of CES 2014 Headphones” award. Westone has been manufacturing custom fit earpieces since 1959, which means they have lots of experience delivering superb levels of comfort for the user. The “W” series in their product line is based on delivering a personalized audio experience, and you can’t go wrong by purchasing any of the offerings in this product line. The product is comfortable enough to be worn for multiple hours at a time without getting frustrated with the fit. The silicone and comfort-foam eartips provide a great fit and contribute to superb levels of noise isolation. You can use these earbuds to listen in a noisy environment and not feel like you have to deal with background noise. Included in the package are the dual balanced-armature drivers that operate up to 117 decibels and have a sensitivity rating of 1 decibel. The frequency range is 20Hz-18kHz, which is highly competitive – even in the premium earbud market. These product facts indicate that the overall audio quality will impress the most demanding of customers. 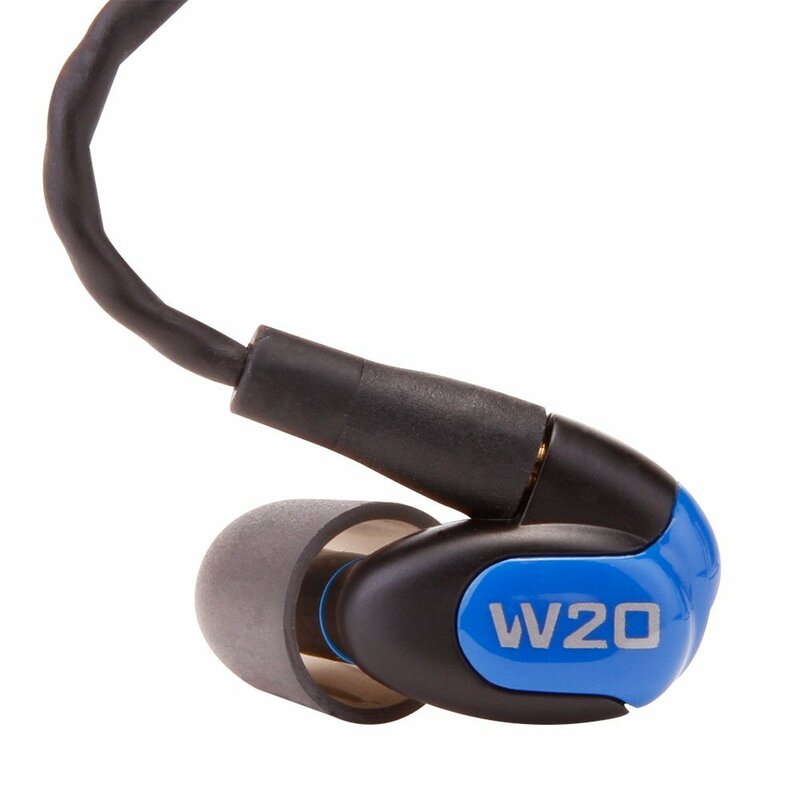 To summarize, the Westone W20 is a must have item for audio enthusiasts that also want a highly comfortable experience. The silicone soft tips and lightweight design means you’ll forget the earbuds are even there after a short period of time. The only drawback is the relatively high price point of around $300, but the value justifies this asking price.